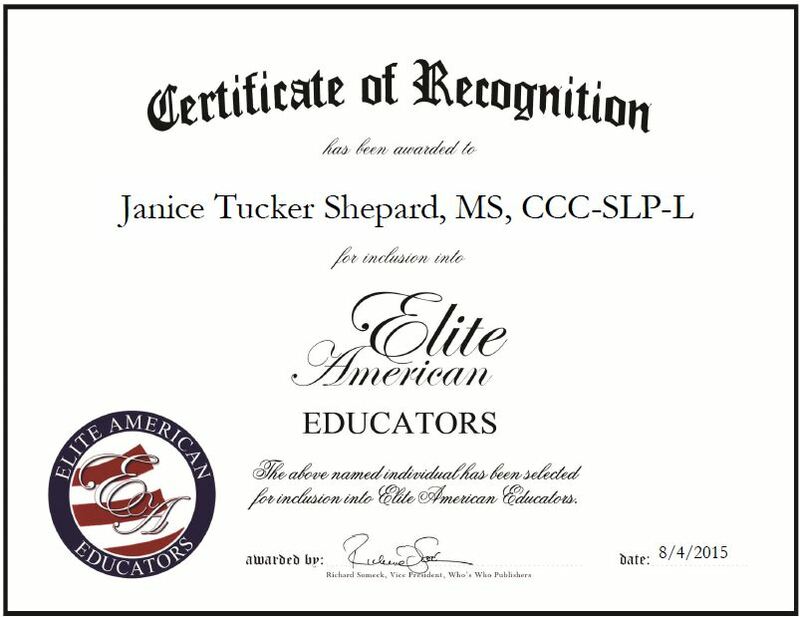 Chicago, IL, August 4, 2015, Janice Tucker Shepard, MS, CCC-SLP-L , Speech-Language Pathologist at Chicago Public Schools, has been recognized by Elite American Educators for dedication, achievement and leadership in speech pathology. Ms. Shepard found her niche when studying communication disorders early in her undergraduate career. After having several conferences with department professors, and several tours and observations of sessions at the speech and hearing clinic there on campus, she decided that speech and hearing science would be her major. She was especially impressed with the dedication, knowledge, skill and compassion of those pathologists working with children who were so enthusiastic and interactive despite their communication deficits. Ms. Shepard has dedicated 40 years of service to the education industry and is recognized for her ability to help students with disfluency articulation. She spends her days working within the school system with students and various professionals, helping formulate treatment plans, and providing therapy and in-services for faculty and staff on student referrals. 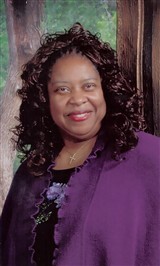 Ms. Shepard previously provided speech and hearing screenings and evaluations for Plano Child Development Center, and taught Speech and Language Development at Chicago State University. Her clinical experience includes more than 35 years of work with patients who suffered strokes and head injuries. She also provided early intervention services for children from birth to 3 years of age who had delayed speech and language development and feeding problems. Ms. Shepard attributes her success to her passion for working with the children and adults, and watching them develop needed communication skills. The variety of disorders, personalities and experiences helped to keep her professional career interesting. She also stated that in the schools she was fortunate to always have a good working relationship with the school administration and teachers. This entry was posted in Speech Pathology and tagged clinical experience, communication disorders, language development, speech and hearing, therapy, treatment plans. Bookmark the permalink.